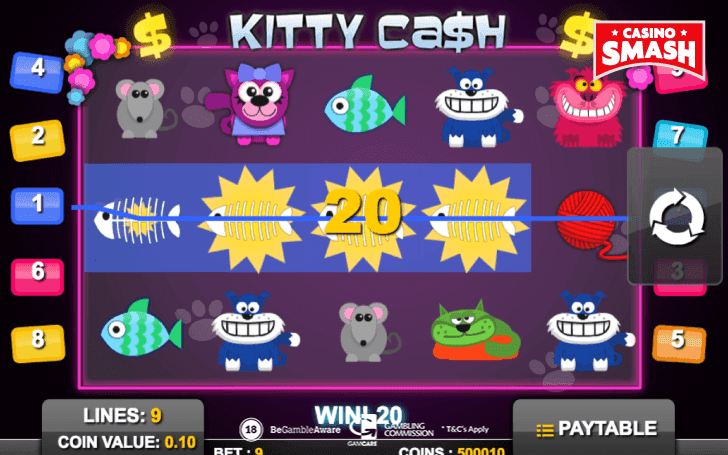 Kitty Cash is a Slot you'll either love or hate - but you HAVE to play it at least once. Sometimes you just have to play your fair share of poorly-made Slots until you find a hidden gem that will become one of your favorites. This is my experience with the Kitty Cash Slot - but let's begin from the start. 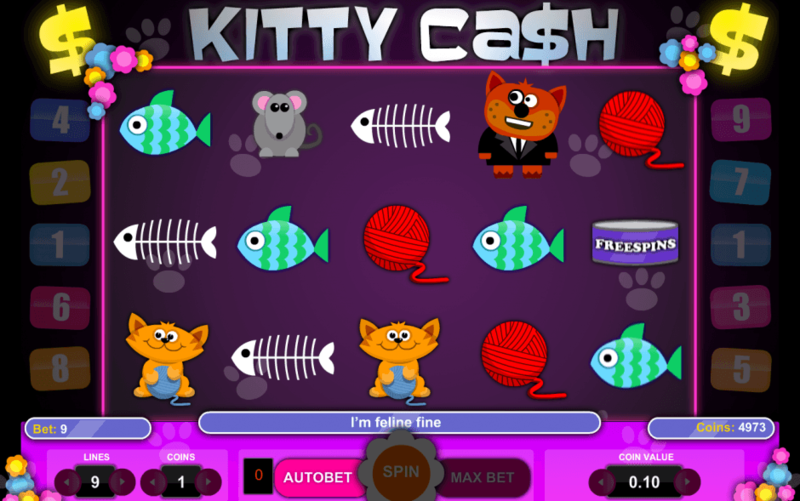 Released in 2017, Kitty Cash by 1X2 Gaming is a Slot machine with five reels, nine paylines, and interesting artistic choices. 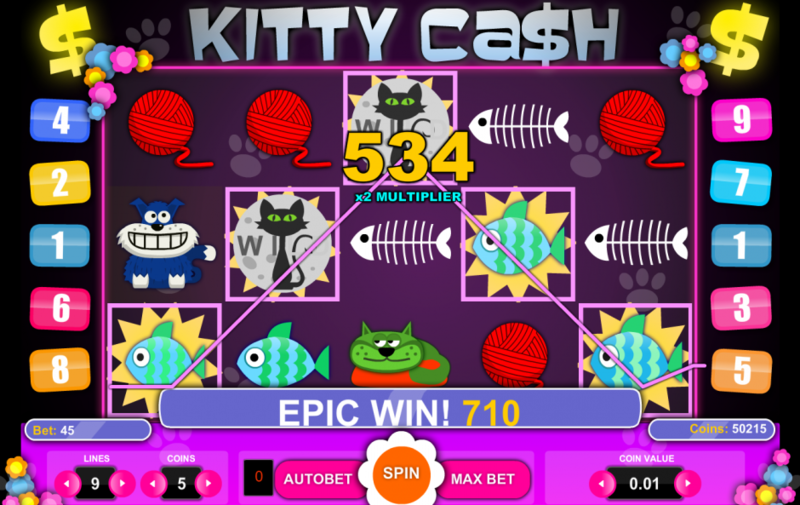 You can explore its strengths and shortcomings in this Kitty Cash Slot review. Of all the cat-themed online Slots, Kitty Cash is definitely not the worst one... but it's still far from being an eye candy. What I don't like about the art is the inconsistency. The dark purple background clashes with the colorful symbols, each one drawn in a slightly different art style. And here's the most prominent problem of the game: the Slot's music sounds like cats in heat. After playing Kitty Cash for a minute I had the urge to put it on mute for the rest of the gameplay. However, a few minutes passed and I (somehow) got used to the the loud cat noises and the annoyingly cheerful tune. And here's the last one of my complaints: the game is constantly throwing cat puns at you ("Pawsome!") and it becomes old very, very quickly. Even though Kitty Cash has some faults, don't let the first impression of this Slot game deceive you. The good stuff starts with the payouts. The RTP (Return to Player) index of Kitty Cash is 97.86 percent - which is surprisingly high. Usually, you can count yourself lucky if you find a Slot with an RTP of 96 percent, so a percentage of almost 98 made me appreciate Kitty Cash a bit more. It's nice that all the wins that include the Wild symbol are doubled. The symbol doesn't even need to be a part of the winning combination - it simply has to be on the same line. Kitty Cash can be a rather nice Slot when it comes to the gameplay itself. The game is fast-pace, easy to play, and quite versatile in terms of betting. The minimum bet of the Slot is €0.01. The maximum bet per spin goes up to €45. Then, click the Spin button and wait for the results. As I've mentioned before, Kitty Cash has nine adjustable lines. However, if you feel the urge to play with less than nine lines… Well, then I suggest you choose a different Casino game altogether. You see, I do not recommend to play with less than the maximum number of paylines - ever. Because this is the most straightforward way to miss a bonus or a lucky combination. 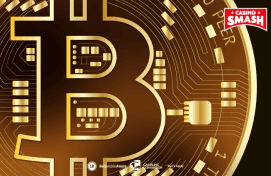 My advice: You can simply set the minimum coin value and bet on all the nine lines - this way your bet will be as low as €0.09 and you'll still have the chance to use the bonus features to your advantage. If you want to try out the Kitty Cash Slot for free before betting real money, you can do it at this online Casino. You'll get a bonus of 50,000 free coins, which is more than enough to get the taste of what's waiting for you. 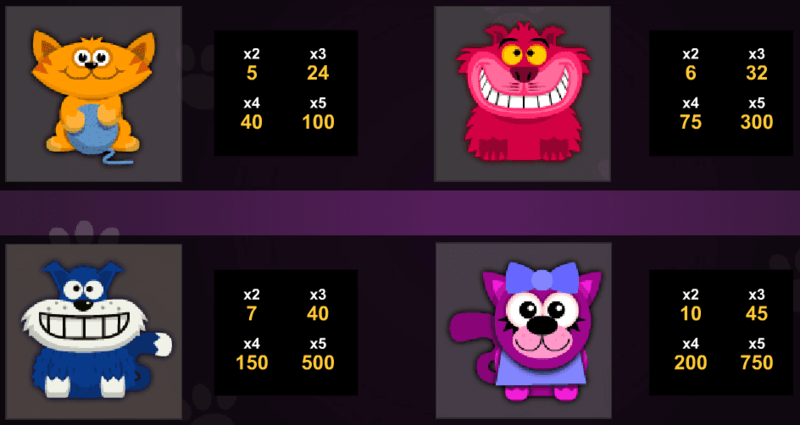 Even though Kitty Cash doesn't have as many bonus features as some modern Slots with bonus rounds, it gives you the possibility to win free spins. I managed to catch the free spins bonus a couple of times while playing, which suggests that the game might not be that stingy bonus-wise. In short, Kitty Cash exceeded my expectations. It's not as pawful as it might seem from the first glance, and it becomes more and more fun the longer you play it. The RTP of 97.86 percent, the versatile betting options, and the free spins symbols make the Slot worth a shot. So, if you can tolerate a little bit of silliness, Kitty Cash might just be the game to play when you're in the mood for a penny Slot machine with good payouts.